While we cannot guarantee how your theft or fraud case will be resolved, we can advise you about what we have seen in our other theft and fraud cases and what potential outcomes may be reasonable for you. Most theft charges are resolved prior to trial. This is sometimes a possibility, though it is much more likely to occur in misdemeanor theft and shoplifting cases then it is in felony theft or fraud cases. We have found that when these cases are dismissed, prior to them being dismissed the prosecutor may require restitution to the injured party and a consumer awareness class. This is typically a one day class. Sometimes prosecutors will offer what is called a "stipulated order of continuance" or "pre-trial" diversion whereby your case is continued for a period of time (1-2 years) and then dismissed. Common conditions of these can be no new criminal law violations, pay a fine (usually under $500) and community service. This can be an excellent resolution for most people. In misdemeanor (not felony) theft cases, if the victim of the theft (such as a store) agrees in writing or by appearing in court that the damages have been paid for and that they have no objection to the case being dismissed, the judge may dismiss the charges. This can be done even if the prosecutor objects to the dismissal. This can be an excellent way to resolve shoplifting cases. 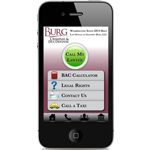 It is strongly recommended that only an attorney contact the victim. If a defendant, friend, or family member tries to contact the victim it may be viewed as witness tampering. For some felony theft and fraud cases in King County, the prosecutor will file them as misdemeanors. If the defendant agrees to enter a plea to a misdemeanor, the prosecutor will not file felony charges. If the defendant does not agree to plead guilty a misdemeanor, the state will dismiss the misdemeanor charges and file as a felony. It is often very advantageous to accept a misdemeanor charge and not have to face the risk or consequences of a felony conviction. You always have a right to a judge or jury trial for a theft charge. If it is a jury trial you will be heard by six or twelve members of the community. They will decided if you are "guilty" or "not guilty" of theft or fraud. As we said above, most theft charges are resolved prior to a jury trial, but we have gone to jury trials in these matters and are prepared to do to so again in the future. Our philosophy is that if the prosecutor is not willing to negotiate, then you are typically better going to trial and seeking a not guilty verdict than pleading guilty. While we cannot guarantee how your reckless driving case will be resolved, we can advise you about what we have seen in our other reckless driving and racing cases and what the potential outcomes may be reasonable for you. Most reckless driving charges are resolved prior to trial. Here are some of the ways that they are resolved. Dismissal: This is sometimes a possibility. We have found that when these cases are dismissed, prior to them being dismissed the prosecutor may require a defense driving class. This is typically a one to two day class. Sometimes prosecutors will offer what is called a "stipulated order of continuance" or "pre-trial" diversion whereby your case is continued for a period of time (1-2 years) and then dismissed if there have been no new criminal law violations, a fine is paid (usually under $500) and other minimum standards are met. This can be an excellent resolution for most people. Amendment To Infraction: In some cases where the prosecutor is not willing to outright dismiss a case, they will agree to amend the case to a civil traffic infraction. These infractions are not-criminal, so they keep your criminal record clean. The most common infraction that they are amended to is negligent driving in the second degree. Trial: You always have a right to a judge or jury trial for a reckless driving charge. If it is a jury trial you will be heard by six members of the community. They will decided if you are "guilty" or "not guilty" of reckless driving. As we said above, most reckless driving charges are resolved prior to a jury trial, but we have gone to jury trials in these matters and are prepared to do to so again in the future. Our philosophy is that if the prosecutor is not willing to negotiate, then you are typically better going to trial and seeking a not guilty verdict than pleading guilty.